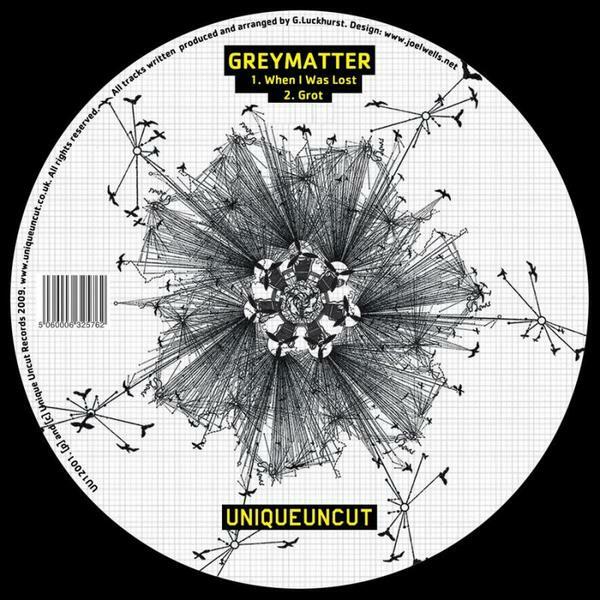 Soul wired Broken Beats from Greymatter for London's Unique Uncut imprint. 'When I Was Lost' is the better of the two tracks, rolling with a punch-drunk breakbeat swing offset by massive sub swoops and looped soul samples sounding like Dego doing dubstep, while 'Grot' steps heavy on delayed hiphop breaks with an industrial bashment vibe. For fans of Illum sphere, Prince Kong or Altered Natives.